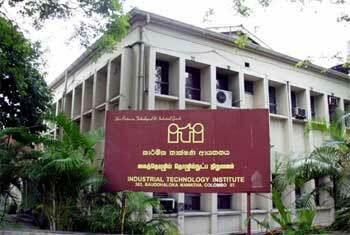 The Industrial Technology Institute (ITI) totally rejected claims that it does not have the necessary technical tools or the knowledge to test imported milk powder for dicyandiamide or DCD. Speaking exclusively to TV Derana on the Wada Pitiya Programme, Director of ITI Sirimal Premakumara stated that ITI’s credentials in testing any product for DCD is accepted worldwide. He explained that the tests were conducted on the direction of the Health Ministry and that it conducted over a period of about two months. Premakumara said that ITI was able to detect poisonous toxins in a consignment of dhal imported from Australia and that no other country had that level of technical knowledge at the time which was even highlighted on an Australian website. He added that ITI was committed to safeguarding the public from consuming harmful products. President of the Government Medical Officers Association (GMOA), Dr. Anuruddha Padeniya who also joined the debate stated that Sri Lanka was fourth in the world in terms of importing milk powder while around US $40 billion is spent on milk powder imports. He pointed out that Sri Lanka does not have a food policy which should be prioritised. Dr. Damayanthi Perera, a leading Nutritionist joined the debate as well stating that whey protein was a liquid that is discarded in the process of producing milk powder. Various chemicals are added to it in order to make cheese and butter while it is then sold to the public under the marketing guise of being highly nutritional. Dr. Perera added that western countries are well aware of this and that multi-national corporations were engaged in this strategy alongside their milk powder sales. Chairman of the Nature’s Secret organization, Samantha Kumarasinghe suggested that legal action should be taken against those who claimed that ITI did not have the expertise to test the products for DCD. He charged that these parties had interests other than public safety and were only focussed on making profits adding that the public should stand up against the interference of various multi-national corporations.